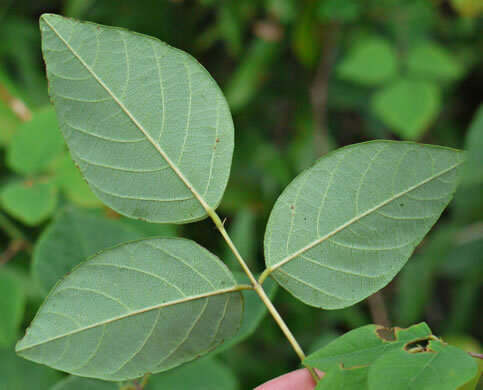 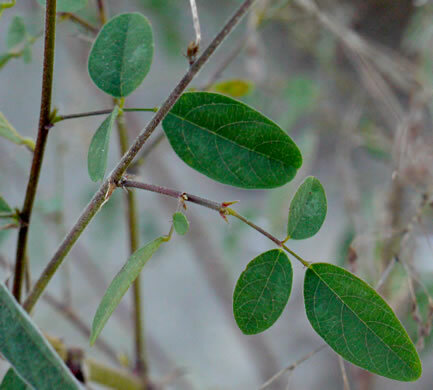 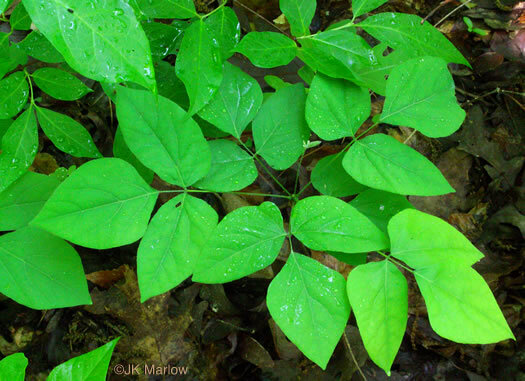 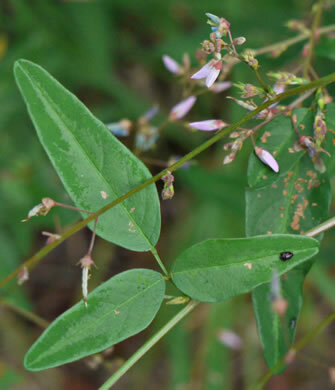 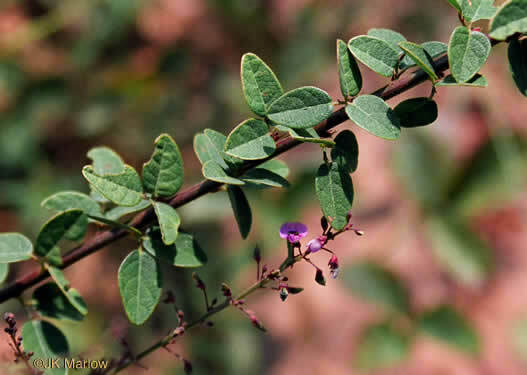 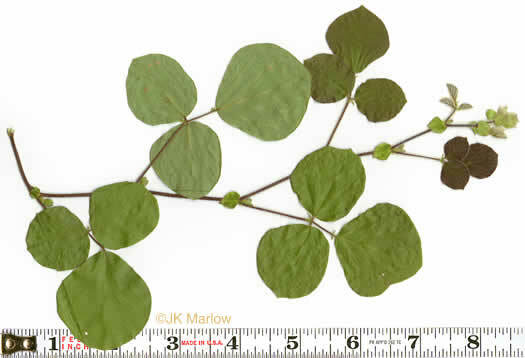 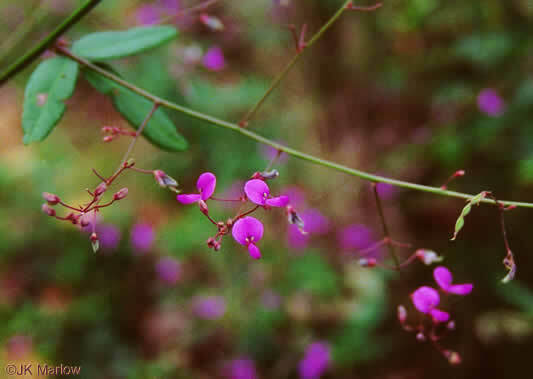 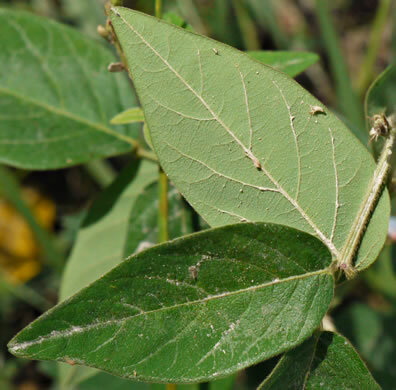 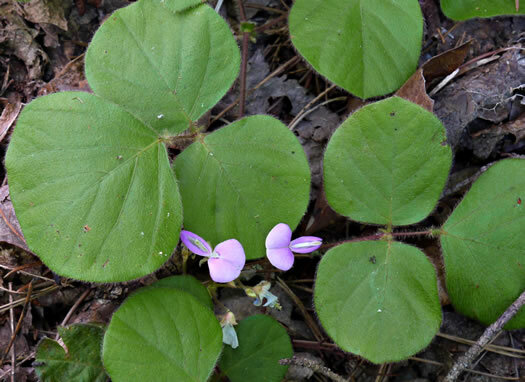 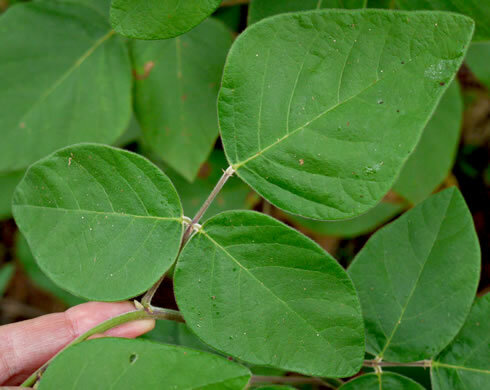 Your search found 19 image(s) of leaves of Desmodium species. 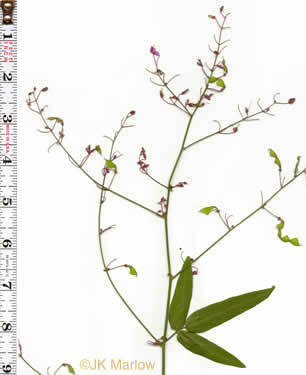 A prostrate plant with stems to 5' long, per Wildflowers of Tennessee. 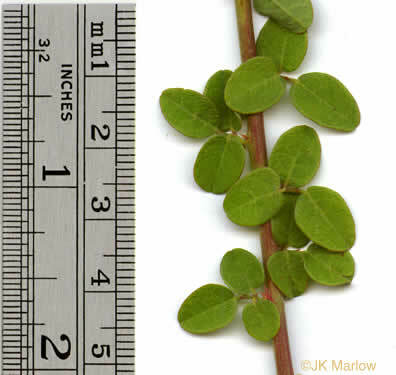 Leaflets 1-4cm long & wide. 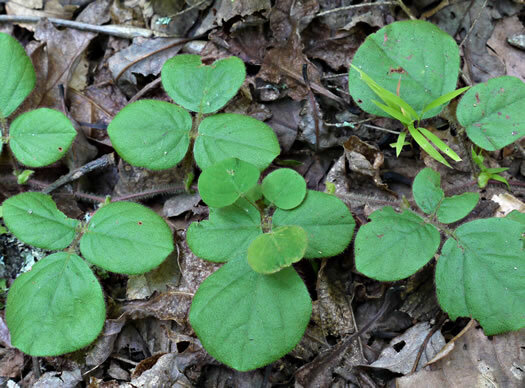 Stipules persistent, ovate, & clasping the stem, per Forest Plants of the Southeast and Their Wildlife Uses. 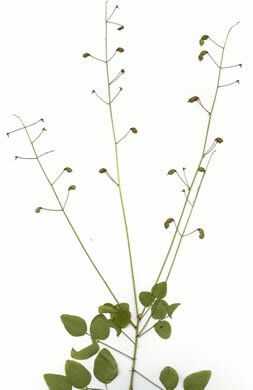 Stipules and stipels persistent. 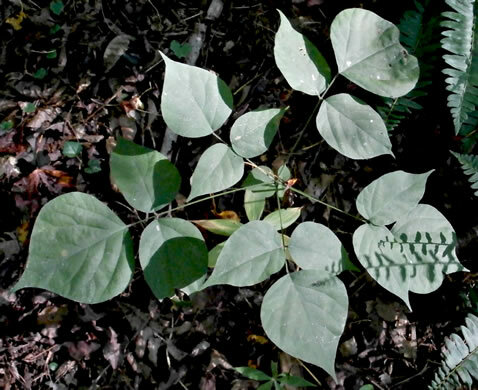 Leaflets often more than 2x long as wide, per Vascular Flora of the Carolinas. 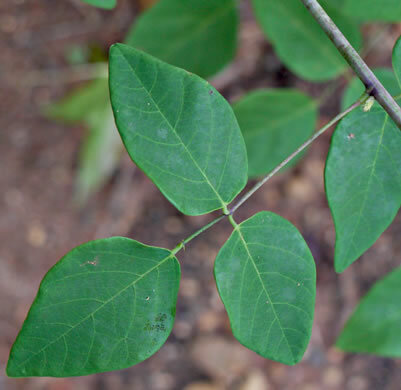 Leaflets usually 3-8x longer than wide, per Vascular Flora of the Carolinas. 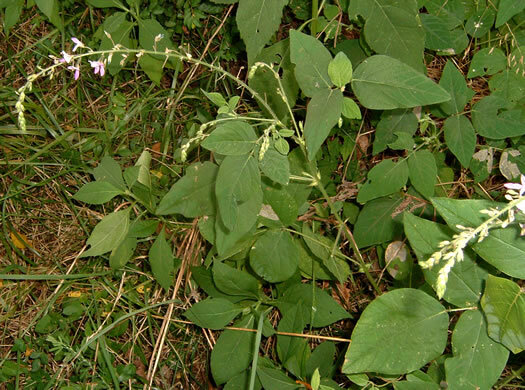 The inflorescence is a large, widely branched panicle, per Wildflowers of the Southern Mountains. 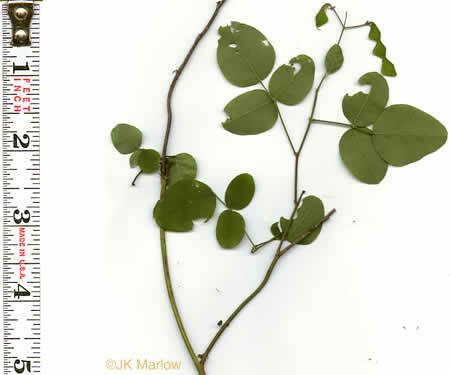 Leaflets distinctly pale on the lower surface, per Weakley's Flora. 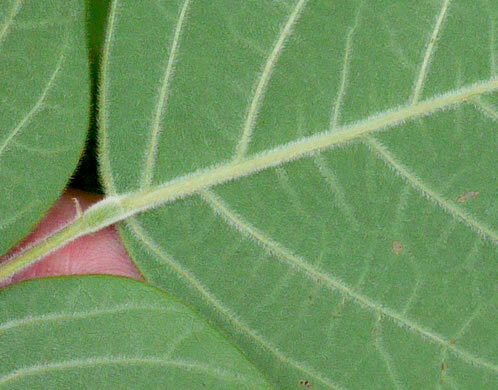 Leaflets densely velvety spreading-villous below especially along the veins, per Native and Naturalized Leguminosae (Fabaceae) of the United States (Isely, 1998).